I’ve been ill again, and this is probably the worse I’ve ever been as I have even lost my appetite :(. The tweedlets have been really busy and we have gone MIA for a bit and we apologize for that!! I’m going to share with you my two cents on Topshop’s Leigh and Joni Jeans. 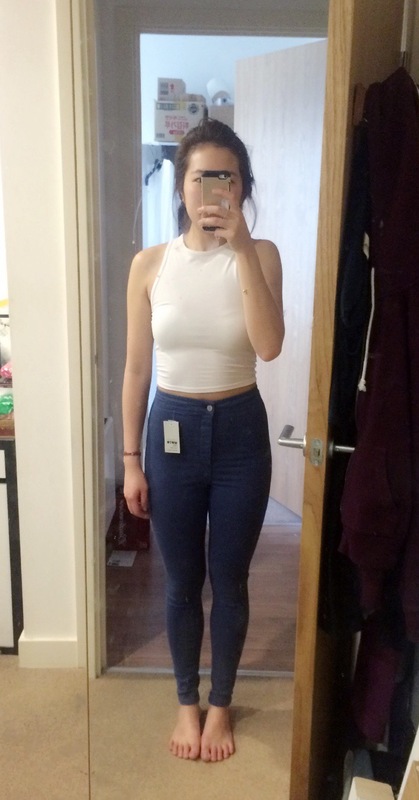 I’ve always been a Leigh fan, but recently due to my love for crop tops, I have been looking for more high-waisted jeans. First, let’s talk about the Leigh Jeans. They are super strechy, comfy mid-rise jeans that sit on your hips. They are 90% cotton and have no denim in them, which means it doesn’t restrict movement. They are basically my go-to everyday pair of jeans! Though I must say they do lose its shape quite quickly, but after putting them in the wash, it will become tight fitting again. On the other hand, Joni jeans are more like leggings, which I love! I got them in the colour “French Navy” and the ‘knee-ripped’ ones in “Sulphur Wash”. They are high waisted, streamlined and fits perfectly, not to mention they are also super comfy. I’ve heard that the colour may fade quite quickly, but as they are new, I cannot comment on that yet. However, I would strongly advise anyone to wash them in the lowest temperature you can and DO NOT TUMBLE DRY them. Both of these styles are between £36-£38 and in terms of length, they go down to my ankles. I have also bought jeans from Uniqlo, Hollister and ASOS but none of them were particularly appealing to me. 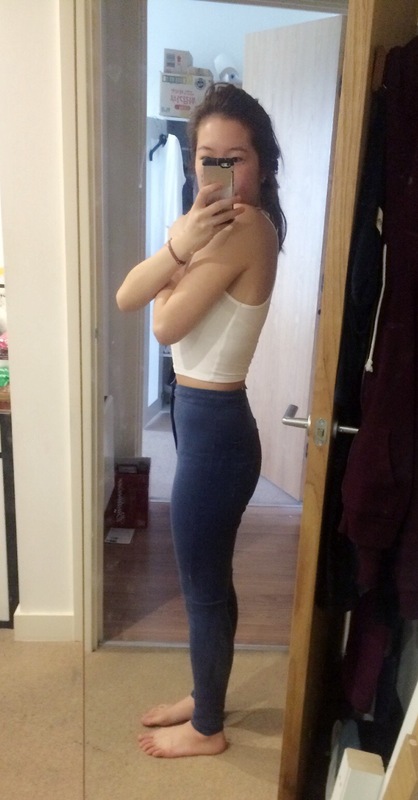 Topshop jeans are currently my number one pick. 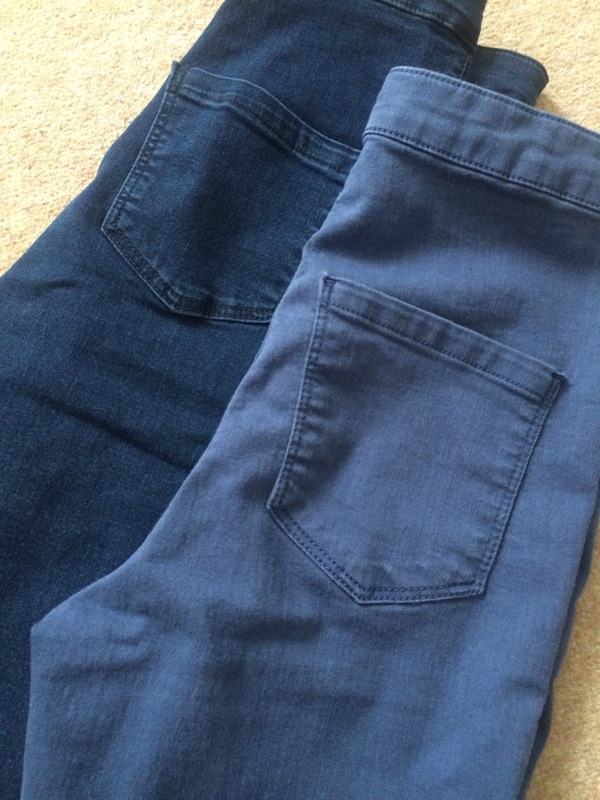 I hope this has helped you in finding your perfect pair of jeans/jeggings :)! Have a great weekend!